Producer J.J. Abrams’ and director Dan Trachtenberg’s chilling and intense thriller debuts on 4K Ultra HD. 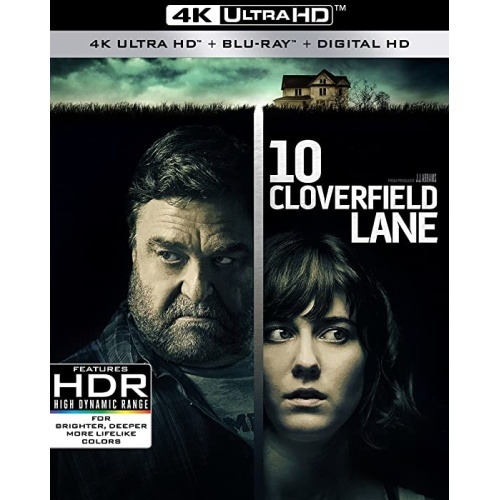 Starring John Goodman and Mary Elizabeth Winstead, 10 CLOVERFIELD LANE follows a young woman who survives a catastrophic car crash only to wake up in a survivalist’s underground bunker. He claims to have saved her from an apocalyptic attack that has left the outside world uninhabitable, but as his increasingly suspicious actions lead her to question his motives, she'll have to escape in order to discover the truth.